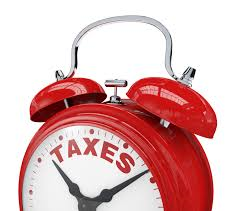 Here we take a look at a few of the changes that you may see when you do taxes. The IRS has come up with a new simplified method of calculating your home office deduction. You can now just take a deduction that is equal to $5 times the square footage of your home office space, with a maximum size of 300 square feet. Pretty easy, right? This was put in place to save the taxpayer some time in calculating the deduction. There is a limit to this deduction. If your income from your business is greater than your expenses (including the home office deduction), you can take the full deduction. If your expenses are greater, you can only take part of the deduction. In addition to this limitation, any excess deduction cannot be carry forward to a future year. Do you buy any equipment for your business? It used to be that you could immediately deduct the cost of certain types of property in the year you purchased as an expense, rather than depreciating it over the number of years that the IRS has deemed that you are expected to use the property. You were usually limited to do this on tangible personal property such as equipment and vehicles. Unfortunately, you will not be able to take this deduction for this coming tax year of 2014 to the degree you used to be able to. Before 2014, you could deduct up to $500,000 of qualifying assets. Starting In 2014, the limit drops to $25,000. Yes, you read that right. You used to be able to take up to $500,000 in section 179 deduction, and you are now limited to $25,000. This probably will result in a drop in equipment sales in the coming years. Now for some more bad news. You used to be able to take additional first-year depreciation of 50% of the adjusted basis of certain types of property as an expense. This was rule expired at the end of 2013, and has not been renewed. Everyone’s situation is different, so be sure to check with a good accountant to see how the changes in the tax law will affect your tax return. It is better to understand all your options well in advance of the tax filing deadline rather than making a rash decisions at the last minute.